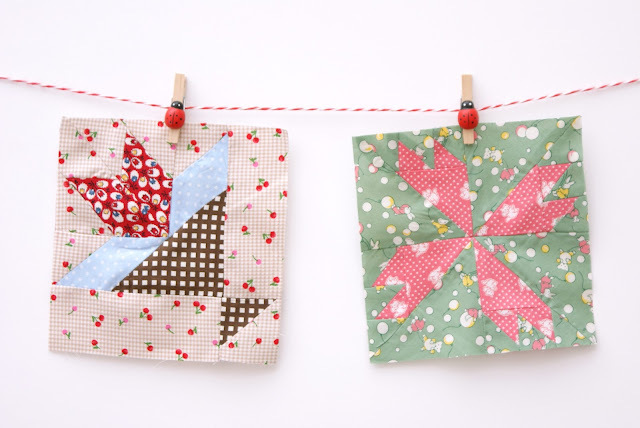 I have four new farmers wife quilt blocks to show you this week! I've been a little behind recently, but got cracking away on them over the weekend. 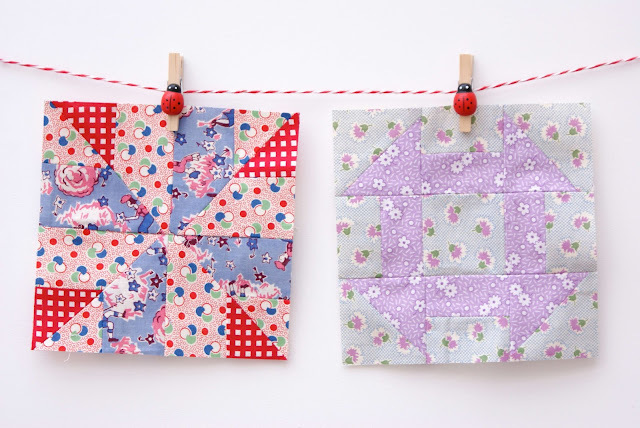 I really enjoy making these, choosing fabrics is of course my favourite part :) though this can end up taking more time than actually making the blocks!? I'm using mainly 1930s reproduction prints, as I want to achieve a nostalgic look. Below is #30 End of Day, #111 Wrench and #37 Flower Pot, #75 Rosebud. Cute blocks, I really really like the fabrics in #30, they're so springy! I just started my very first Farmer's Wife blocks last week. Two so far! If auditioning fabrics is as much fun as making the quilt...you are officially a Quilter! You're making great progress. Wow... They are great, I find them more complicated than others you've made. Well, I've just bought fabrics for my first quilt!!!! It's going to be very simple, but I'm very excited!It'll be a baby blanket as present for my future niece :) Thanks for motivate me! So cute! Choosing fabrics is not my favorite part. I second guess myself like crazy. I think I need to relax a bit and just have fun. I envy those, like you, who can do it so well.